Ree Drummond is the founder of The Pioneer Woman blog, the best-selling author of eight books (including four cookbooks) and the host of The Pioneer Woman series of Food Network. She recently opened her own general store, restaurant and bakery in her home town of Pawhuska, Oklahoma. 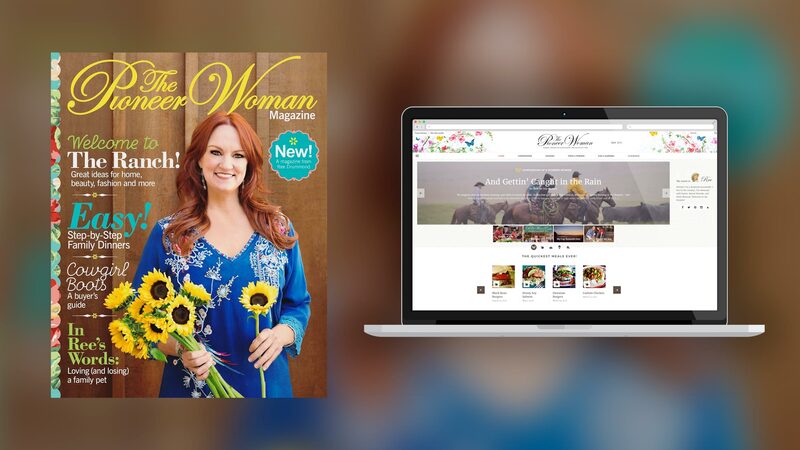 Ree Drummond wants you to be a part of The Pioneer Woman Magazine! Each issue will be full of great tips, easy recipes, fun shopping, heartfelt stories & tones of laughs. 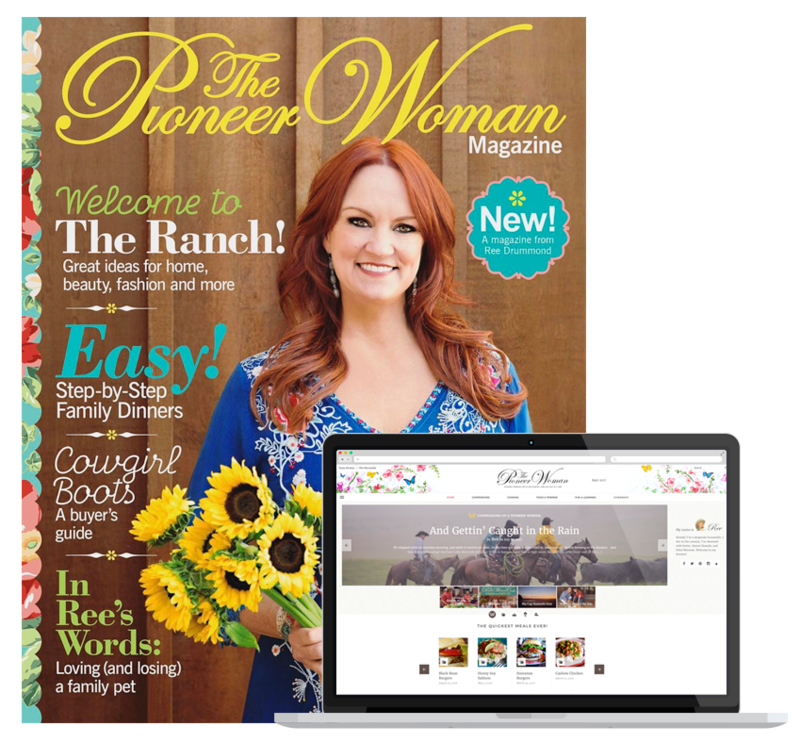 Dozens of family-friendly recipes, behind-the-scenes stories from Roe’s ranch, including a tour of her kitchen, pioneer style: jewelry, cowboys boots, home decor and more, tons of special giveaways and contests.